Welcome to a wonderful new week! How are you? I hope you're fine and you had a fun weekend! Are you enjoying fall? Have you noticed how things seem to quiet down once school starts again and the days are shorter and darker? Critters migrate and we don't blame them. We pull out our winter clothes and start nesting for the colder months. For card artists, thoughts turn slowly towards Christmas ... okay, knock off the poetry! Let's face it: our thoughts don't turn all gentle and zen-like towards Christmas. More like our heads whip around like Regan in The Exorcist when we realize it's only (cough) short weeks until our cards need to be in the mail! I know you know what I mean. I can see the sweat beading on your upper lip. Well, never fear. Hammy is here with a QACAS OLC that you may steal CASE for batch-making! QACAS=quick and clean and simple; OLC=one-layer card; CASE=copy and share everything. All you need is a stencil, some ink, some finger daubers, a mask, and a Christmas sediment. It's better if the mask is some type of something to cover an area of your card that you don't want inked, but if you want to wear your Minnie Mouse mask while you're stamping, I'm okay with that. I laid down a strip of painter's tape where I wanted my sediment to be, then I used my finger daubers to bounce the inks through a star stencil. I used a stencil that was a gift from Lolly. I used Oxie inks in nontraditional colors of broken china and wilted violet and faded denim. The sediment is, I believe, from MFT. The lines were drawn with my faded denim DI marker. And thazit. I made several others using different ink colors and also a different design where I masked off a portion of the stars in a diagonal pattern with a diagonal Christmas sediment. 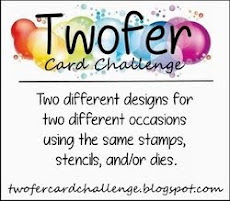 It's an easy way to make a colorful and mailable card with minimal effort. When you have lots of Ccs to make, that's the name of the game! 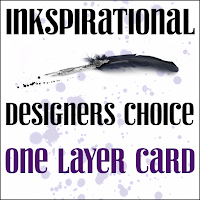 Inkspirational: Designers Choice: one-layer card. Less Is More: One-layer card/stars. I hope there is an acceptable amount of white or "empty" space. I mean, if you narrow your eyes and let those smaller stars recede into the background, you'll remember that in space there are bazillions of light years of depth in between stars. That's a LOT of empty space, right?! 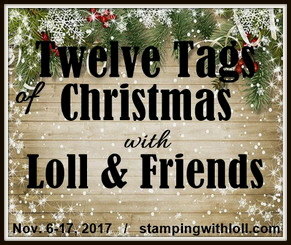 The Merry Christmas Challenge: Anything goes. Gorgeous card with wonderful colours. Really striking, bold and brilliant. Great to keep to one layer too because of postage! A fantastic card Darnell, nice and easy too but looking so good. I cannot believe how fast the time is going! I know, it's a sign of age isn't it? Super one layer card! I'm so bored not being able to sit and create... It's just not the same standing up Lol! Sending hugs your way and thank you for your kind wishes... Mwah! Great CAS card that we can case. I like making multiples. This is a great Christmas card with such fun colors. This post has really shaken me up - I haven't moved in the direction of Christmas yet and I am in shock. It always sneaks up on me but you have put this in perspective! I have to mail Halloween cards! Love tis clean and simple card!! Such lovely colors. Great use of the super oxides....I thought at first you'd done embossing paste. This stencil looks terrific as you've done the CAS card, brilliant idea to use the small daubers. The textured paper must have been fiddly to get the oxide down on, but all the stars look just smoothly done. I love that linen look on the white too! TFS & Big hugs. I love your design and beautiful stars. Clean, well-designed and starry. LOVE it! I'm sure there's enough white space to satisfy Less Is More, too. Masking the sentiment was a terrific idea...looks wonderful. Oh... I was sure the mask was for me. I need one when I do ink splatters 'cause they go everywhere. In fact, I really should lay tarps and cover the walls. Not kidding. Anyway, this is a fabulous QACAS Christmas card! I love using stars for Christmas. Made 5 Christmas card yesterday because my upper lip was starting to sweat so I knew I needed to make some progress. Love that pretty linen paper you used. Beautiful card Darnell, wonderful idea, love the colors! Love your non-traditional colours for this gorgeous Christmas card ! This combo is awesome and works so beautifully with your layout ! It's a fabulous stencil and an explosion of Stars ! The font of the sentiment is so beautiful ! if I were sure that by wearing my Minnie Mouse mask while stamping I would go twice as fast to make my Christmas cards, then I will wear it with joy! Fabulous take on our challenge, Darnell ! Thanks so much for sharing and for playing along at Less is More ! I really like how you masked off the space for the sentiment. Great color combo, too! 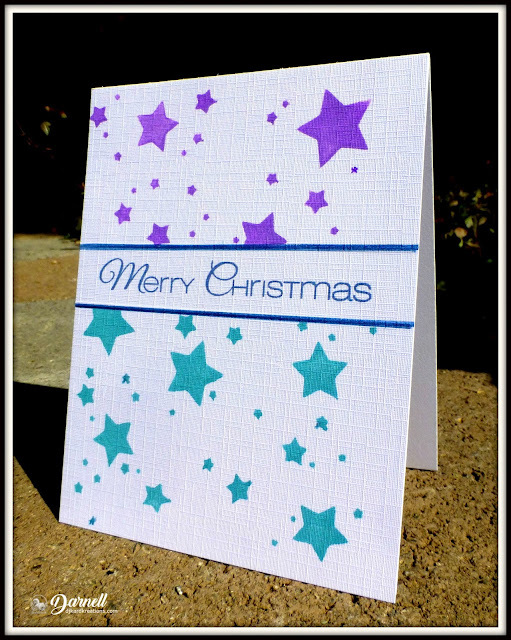 What a great design for a quick Christmas card and I love the colors! I also absolutely loved your explanation for the white space. :) You always make me smile, Darnell, you are a gem. Thanks for joining us at Less Is More and Inkspirational! That is a fantastic quick and simple CAS card design. I did a few up the last two days as well and made great headway, but I have so many ideas floating around in my head that I want to try. But this one you did is really super awesome. I love stars as a theme! 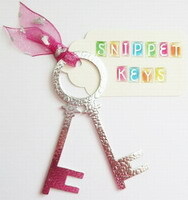 And your card is full of them - so beautiful in those colours with the nice gap for your sentiment! Great one layer card! Great design & fun color combo, Darnell! Very pretty Christmas card. I love the colors of the stars and so glad you shared over at The Merry Christmas challenge. This is CAS prettiness Darnell!! Cool Christmas card with lots of pizzazz! 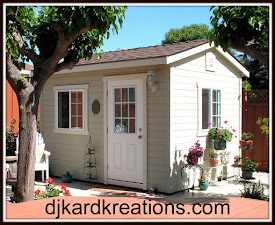 Love the nontraditional colors and simple design. I've barely started on my Christmas cards (I'm still making Thanksgiving cards), so thanks for this very do-able inspiration. What a fabulous card Darnell and wonderful for mass production - just changing the colours and design a bit to keep it interesting. THis is a fantastic and quick CAS beauty, and I'm loving the non-traditional stars AND colors for Christmas! Well done my friend, and purty too! A lovely card in pretty colors. Woo Hoo! Fabbylicious and features my very fave colour too! Love your card. And yes I might CASE this one. As you are heading into cooler weather I am expecting 30+ day here today and had to pull out some Summer clothes which seem to have shrunk over the winter! Perhaps I shouldn't have ditched this mornings walk to play catch up? Have a great week - gearing up to end of school, final exams and end of year dance concert here. A wonderful CAS Christmas card Darnell, such pretty coloured stars. Love these colors for a Christmas card, Dolly, and the textured cardstock adds even more fun! Very pretty stenciling. I LOVE the way it looks on the textured card! It is good not to stress too much about Christmas! fab card and your irreverence never fails to make me smile and laugh! I can see the linen cs peeking through those colorful stars, Darnell, and it adds another element to your CAS one-layer card. Very cute! I like the split design with the dual color stars! Thanks for sharing with us at Inkspirational! Fabulously starry, my lovely! Gorgeous colours, gorgeous design, and I loved your awesome explanation of white space so you get an extra point for that! As for Christmas cards, oh..em..gee, I've hardly started!!! This CAS card is wonderful! Thanks for this CAS Super-Star idea! "Starry, starry night..." Stars in my eyes in seeing this stellar sensation of yours! So pretty! I suspect my attempts at casing it would see the sentiment wonky-fied! "Straight" masking is not one of my strengths, even when I use all make and matter of rulers/grids, etc.! May have to try though; Christmas-card making has not yet picked up steam! Sorry for late visits: two weeks of to-and-fro-ing to mom's. Visits + bike races (and still two more weekends of the latter to go, but closer to home. Freeze-fest! ).